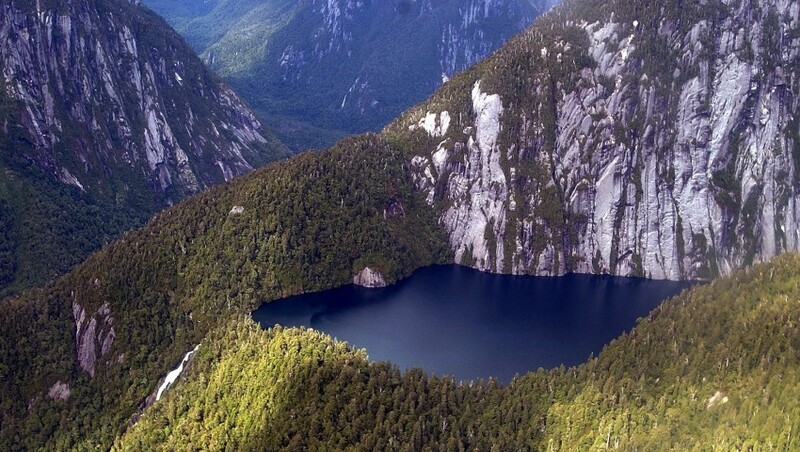 What’s Life Like After Doug Tompkins? Last Sunday, the world’s most influential conservationists bid Doug Tompkins farewell at the Herbst Pavilion, a cavernous, light-filled space that extends 500 feet over San Francisco Bay. Tompkins was a co-founder of The North Face and Esprit who went on, with his wife, Kristine, to protect more land than any private individuals in history. He died on December 8 from hypothermia after a kayaking accident on Lago General Carrera, a large glacial lake that straddles Chile and Argentina in central Patagonia. Juan Pablo Orrego, a Chilean activist who worked closely with Tompkins in his fight against dams, played “Gracias a la Vida” on his classical guitar; Gary Snyder, the poet laureate of deep ecology, read his piece “For the Children”; and Patagonia founder Yvon Chouinard, who was with Tompkins the day he died and adventured with him for almost 60 years, assured the 1,100 mourners, including Earth First! founder Dave Foreman and ecologist Carl Safina, that the Tompkins’ conservation efforts will live on. “By his actions, Doug became the teacher we all needed, and he still is. I’m here to say for Kris and her team that, with the support of all of you, his work is going to continue,” Chouinard said. 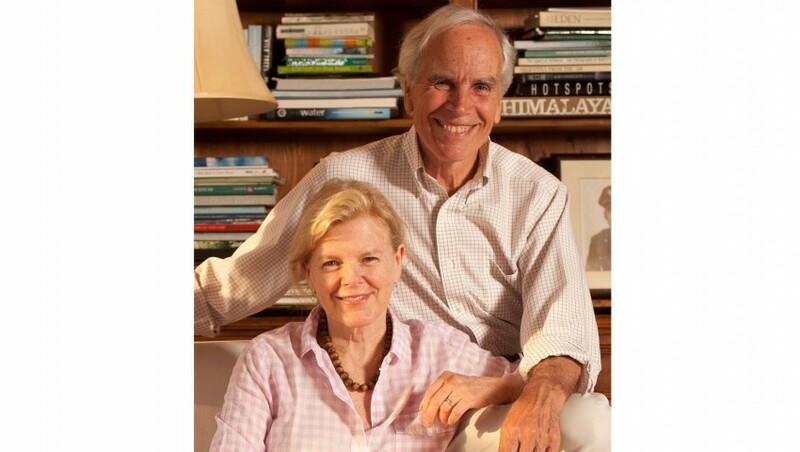 The woman who will bear out Tompkins’ legacy is Kristine McDivitt Tompkins, 65, Doug’s wife of 21 years, who retired from her job as CEO of Patagonia, married Doug in 1994, and moved to Chile the same year to become his partner in their conservation efforts. Over the past quarter-century, their four foundations have invested nearly $300 million to establish protected areas in Chile and Argentina in regions that Doug began exploring in his teens to ski and, later, to climb with Chouinard. On the ground, the Tompkins weren’t always viewed favorably. Locals labeled them as neocolonialists and a national security risk, and the governments of Chile and Argentina were hesitant to turn the Tompkins’ land into protected parks. Over the years, the Tompkins have slowly earned the trust of locals and government officials and have helped to create five national parks, totaling roughly two million acres. Working closely with them all, Kristine plans to execute six more. 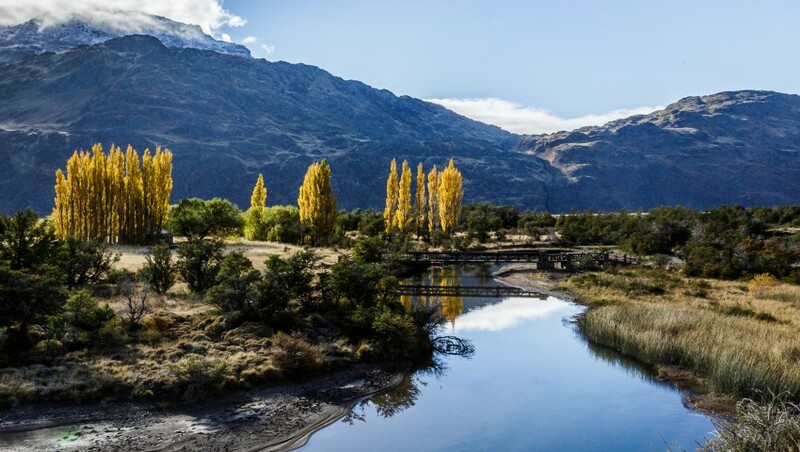 In Chile, within two years, the Tompkins’ foundations will donate more than a million acres that, combined with public lands, will create five new national parks and expand three existing parks for a total protected area of 10 million acres. In Argentina, the focus is on donating 333,592 acres to help create Iberá National Park, part of a 3.2 million-acre grassland and marsh, where a staff has already begun to rewild the landscape and reintroduce species like the jaguar. “One of the things I think [Doug] would say today if he could would be that we get out of bed every day and do something fierce for those things that call to us, for those things that we love,” Tompkins said in her tribute to her husband at the service. The regions where the Tompkins have been working are threatened by massive hydro dams, mines, unsustainable grazing practices, habitat destruction, and aquaculture. But according to her former boss, Yvon Chouinard, Kristine is up to the task. With the exception of her husband’s memorial service on Sunday, Kristine hasn’t stopped working. She took a brief hiatus from the Tompkins Conservation office in San Francisco on Monday before she returns to her home in Chile to tell us how she plans to move forward. OUTSIDE: Since Doug’s death, the presidents of both Chile (Michelle Bachelet) and Argentina (Mauricio Macri) have met with you for the first time to show support for your conservation work, and Doug was unanimously voted an honorary citizen by the Chilean National Congress. Do you think his death has created a new sense of urgency? KRISTINE TOMPKINS: We’ve always felt a sense of urgency. That’s why we have all these proposals in front of the governments. These proposals are not new, but since the accident, it just adds fuel to the fire to get them done. Of course, Doug’s death had a tremendous impact all over the place, and I would say that there’s a tremendous awareness in both governments on both sides of the border that national parks are good for the country and the donations we have before them are worthy projects. There’s so much at stake. How do you prioritize? 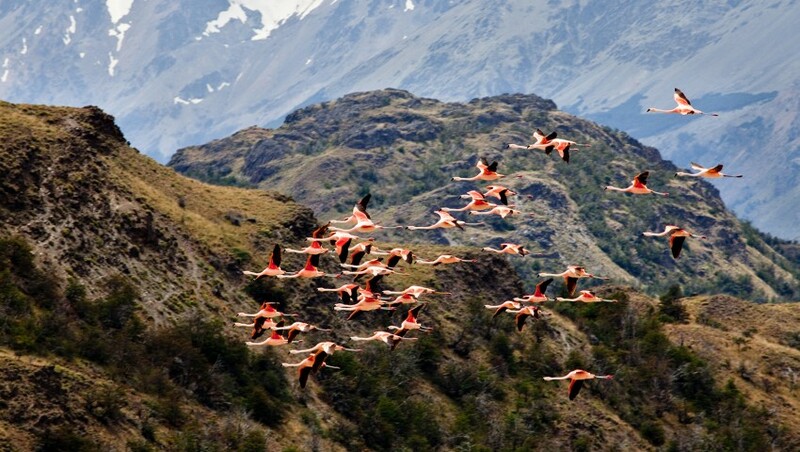 ​Iberá National Park in Argentina is a priority. Chile is a very large, complex donation. It’s just over a million acres and involves Pumalín Park, Patagonia Park, and a few other smaller additions. But absolutely the two principles are Pumalín and Patagonia. It sounds as if the South American conservation community has really stood behind you. Is that true? Yes, starting with our own team members. We have extraordinary people working in Chile and Argentina. It’s not just the Doug and Kris show. It’s very serious and talented people who have been working with us for up to 23 years. Kristine and Doug split their time between homes in Reñihue in Pumalín Park, which protects 715,000 acres of temperate rainforests, and Rincon del Socorro, a former cattle ranch on the edge of the Iberá marshlands in Argentina, the second-largest wetland in the world after Brazil’s Pantanal. Kristine traveled more often to the States than Doug in her role as the primary fundraiser for their foundations. His role in their work was head designer and visionary. Because you lived so remotely and had to cover a lot of territory flying in Doug’s small Husky plane, did you have a contingency plan in place in case something happened to one of you? We certainly talked about it a lot. Yeah. And we’re there right now. We were really clear on what we needed to finish, and we knew what would need to happen if both of us died together, which was always a real possibility since we flew all the time. Did you think of what would happen if Doug died first? Of course. You would be nuts not to. I don’t know how you would avoid that. Has your plan changed at all since Doug’s death? No. On the conservation side, it’s full steam ahead on everything we’ve had going for almost 25 years. Will you ask anyone else to step in now to help with his role? No. I have a board and a lot of like-minded conservationists who we partner with. I think people are more than ever at the ready to step up and help in whatever way that manifests itself. Do you harbor resentment or anger toward Doug or Yvon for their choice to go out that day relatively unprepared? No. Resentment hadn’t occurred to me. They were gone three days before the accident, so we just sent them off on the edge of the lake like any other trip. This was an easy trip. This was not a complicated thing. It just grew to be complicated. You had your own adventures with Doug. As you mentioned in your memorial tribute to him, you once “mutinied” while the two of you were on a boat. What happened that day? Doug liked to go out in the middle of winter on our boat with our boat captain. We would sail around, and it was very difficult sailing. We finally got to a place called Puyuhuapi, where I got off, said “I’m done,” and hitchhiked back to Pumalín. How do you think Doug balanced his realism with his vision? Visionaries, I think, are based in realism, because visionaries don’t become famous for being visionaries unless they are generally proven to be correct. Real visionaries are rooted in hard, cold facts and seeing trends. He was brilliant at looking at circumstances today and being able to extrapolate where that would take us down the road. I don’t know that you would classify him as an optimist. I would classify him as a realist. He wasn’t big on false hope. What will you miss the most about him? If you knew Doug, you’d know there’s a lot to miss. Daily, just his presence is tremendously missed. On the work side, his designs. His presence everywhere will be tremendously missed, but it won’t impede moving forward and getting things done. Nothing changes there. It’s funny, some people have asked me if I’m moving back to the United States. And I think, “Where have you been?” I just came up to the States [for the service and to be with her family]. I’ve only been in Pumalín. I’ve only been in the park, and of course that’s where I’m the most comfortable and feel closer to what’s meaningful to Doug and to me. But here, I have our grandchildren, so this is a very important time for me [to be] here in the States. You’ve lost a husband and a partner in one of the greatest conservation efforts of the 21st century. How does one grieve both of those at the same time? Some of it is overlaid, but the personal loss is immense. That I just don’t talk about. That’s a whole other road and is extremely painful. The work I have no doubts about. This is also very new. It’s been only been six weeks. You have to calculate that in. Doug lived 100 lives in one, but there is a very solid thread to who he was all the way through it. I hope he’s remembered as someone who really sought beauty in his life, whether it was the line skiing down some glacier to architecture to fine art, to the parks where we create our homes—everything. And I would hope that he’ll be remembered as someone who was a fighter for those things that he loved and for those creatures who have no voice of their own and for being a deep thinker. He was not interested in shallow thinking. He always wanted to understand the root causes of the eco-social crisis, and he was extremely disciplined—extremely. He was kind of a renaissance man. He was a wild guy. He was happy and fearless.